The East Harlem School hosts a series of events each year to raise vital funds and to foster the culture that is core to the School's mission and curriculum. 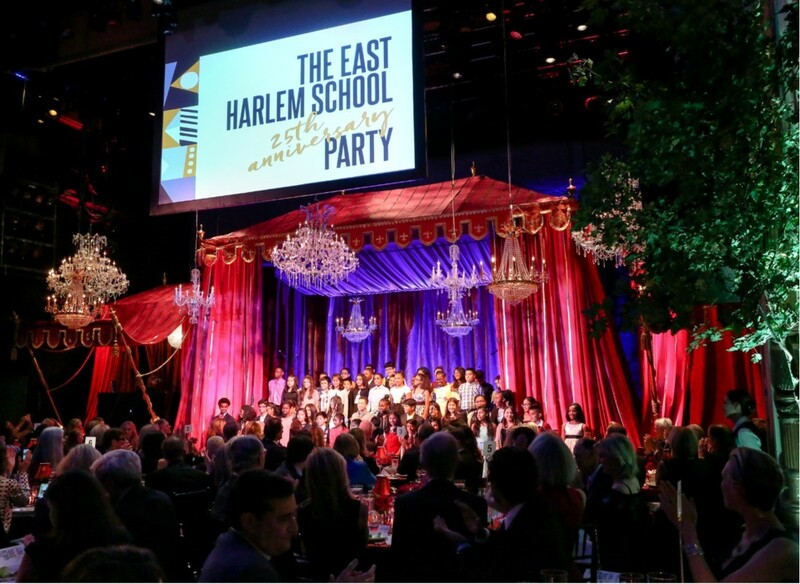 The East Harlem School's Benefit is an inspirational evening that features a silent and live auction, cocktails and dinner, and wonderful performances by our talented students. The evening, emceed by selected 7th and 8th graders, raises critical funds and is essential for the School's survival. On October 16th, 2017 The East Harlem School celebrated it's 25th Anniversary Benefit at Harlem's World Famous Apollo Theater! The East Harlem School's annual Poetry Slam has been the emblematic event of our School since the tradition began more than ten years ago. On this night, thirty students take the stage to perform a piece of original poetry in front of more than 400 audience members and a panel of judges. On Wednesday, February 13th, The East Harlem School celebrated the 2019 Poetry Slam at Carolines' On Broadway.